In a DUI car accident, victims can collect a number of various damages if fault of another is proven. Anyone driving a motor vehicle in the state of Florida with a Blood Alcohol Concentration (BAC) of 0.08 or higher is driving under the influence (DUI). If someone causes an accident and injures someone else while driving under the influence of alcohol or drugs, they will be charged with a misdemeanor or felony depending on the seriousness of the accident. In addition, drunk drivers can also be held responsible for compensating the injured party for losses incurred because of the accident. 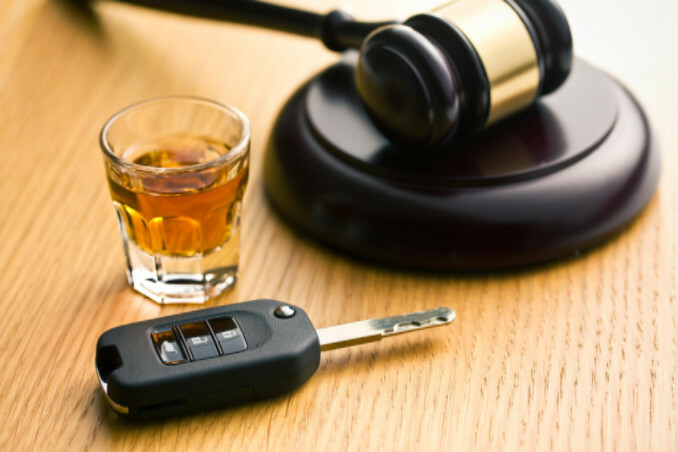 What Factors are Considered in DUI Accidents? Degree of Fault – A criminal conviction may prove negligence on the part of the drunk driver, but if the case goes to court, a jury may also find that the injured party was partially at fault as well. For example, let’s say a driver runs a red light and is hit by another driver who is legally under the influence. Since the first driver may not have been hit if they had not run a red light, they may be partially at fault. This can affect the amount of compensation awarded depending on your state. Dram Shop Laws – One thing that many people do not realize is that Florida law also allows victims of drunk driving crashes to seek compensation from bars or restaurants that served the alcohol to the impaired driver under certain conditions. These are called dram shop laws and they increase the likelihood of getting compensation for injuries suffered in DUI crashes. Injuries – The injuries received as the result of an accident involving a driver under the influence can be mental and physical. These injuries can affect the ability to work temporarily or permanently. If an injury results in permanent inability to work, the compensation can be raised to meet a victim’s expense. Proving fault in a DUI accident case will depend largely on establishing the degree of intoxication. This is generally recorded by law enforcement when the accident occurs. According to Florida Statute 316.1933, officers that have cause to believe a driver is intoxicated can require the driver to take a BAC test and use “reasonable force” if needed. A police report with this information can be obtained by a plaintiff’s attorney. This can be used as proof that the person should not have been operating a motor vehicle and that “reasonable care” was not used to protect the safety of the public. In the state of Florida, regardless of who is at fault for an accident, an injured person will receive compensation for lost wages and medical expenses from their PIP (Personal Injury Protection) insurance. The minimum required in Florida is $10,000. Expenses beyond that amount can be sought from the drunk driver’s bodily injury insurance and from the drunk driver themselves. Loss of wages is one type of compensation that many people who are injured seek. This can include financial recourse for work that was missed due to being injured and unable to work as well as time off used for obtaining treatment for the injury. If the person is unable to return to work because of permanent damage from the injury, wages that would have been made over his or her lifetime will be calculated, and they can ask for this compensation. The cost of medical care can be very expensive. Someone who is injured in a crash by an impaired driver can seek compensation to pay for medical bills they incur. This includes present and future. If they require medical care for the rest of their life, this is taken into consideration when asking for damages. If the injured person’s insurance is paying for these medical costs when compensation is received, the insurance company will expect repayment for what they have covered up to that point. Pain and suffering is another type of compensation. It is generally measured by the medication that must be taken as a result of the accident as well as work and other activities that cannot be performed due to the accident. Wrongful death damages can be awarded when the accident causes the death of someone. Wrongful death compensation is generally sought by spouses and parents of children who die in an accident. The damages can be substantial, and this is particularly true if the person was the primary wage earner. Although these damages are the types most often asked for in accidents involving drunk drivers, there are other types of damages that may be available. It is extremely important to seek the advice of a personal injury lawyer if you or a family member have been injured in a DUI car crash. If you or someone you love has been injured or killed in a DUI accident, the Tampa attorneys at Lorenzo & Lorenzo are ready to help. Contact us today for a free consultation and see how we can get you the compensation you deserve.